Recognition is one of the biggest factors contributing to employee engagement and satisfaction. As a recruiter, I know an easy target is the over-achieving, under-appreciated employee. If you don’t want your employees taking my or any other recruiter’s call, show them you appreciate them on an ongoing basis. It doesn’t have to be elaborate or expensive, and the extra effort will pay off in spades of retention and productivity. 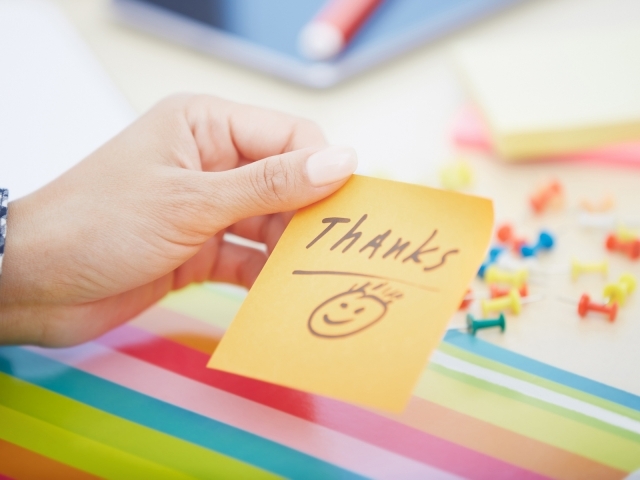 Here are ten simple ways to show your employees gratitude throughout the year. Celebrate their work anniversary. A small gift or a gift card with a personal note letting them know how much you appreciate their work will help them feel recognized. Try and cite specific achievements or contributions from the past year that have impacted your business. This shows them you’re plugged in and aware of their contribution to your business. Extra time off for a job well done. If an employee works extra hours or puts in time over the weekend to complete a project or meet a deadline, insist they take the morning or the next day off. Research has shown the many benefits paid time off (PTO) has for employees personally and professionally. Encouraging PTO shows you care about their well-being, not just how much they can produce over a short time period. Public recognition.While the employee of the month concept might be a little dated, recognizing your employees in front of their peers is not. Posting a message to their LinkedIn profile, spotlighting their performance on the company intranet or in a newsletter are good ways to publicly recognize them. Tell them.Â Regularly telling your employees you appreciate them is one of the easiest ways to show gratitude. As long as you’re being sincere, you can’t go wrong with this one. Pay tuition for job-related courses or continuing education. A recent study found that in the next five years, employees most want to see more opportunities to learn about their industry. Tuition reimbursement was cited as the second trend employees would like to see expanded in the next five years. Employees will care more about your company, if you show you care about their careers. One-on-one lunches.Choose a team member each week or month to take to lunch. Use that time to ask them for feedback, answer questions, or discuss career goals. Encourage a passion project.Employees quit when they’re bored or unchallenged by their work. Ask them what they would be really excited about working on within the organization and give them an opportunity to do it. Feed them.Find out what your employees like to eat and drink, especially if they have food allergies and need specialty items, and keep them in your company kitchen. If you have employees on job sites, have breakfast or lunch sent to the job site periodically. Send a thank you note. A handwritten note is a rarity these days. Requiring more effort than an email or a phone call, this old-fashioned way of expressing gratitude is memorable and special. Celebrate their birthday.Whether it’s flowers, a day off, a special lunch, or an e-card, acknowledging employees’ birthdays is an easy way to make sure every employee has a day they’re recognized. If your company handles this through HR or an admin, make sure you know the birthdays of each of your direct reports, and do something to personally acknowledge it. It’s expensive to recruit, hire and train new employees and even more expensive to lose your best ones. Your top-performing employees are getting phone calls from recruiters. But if they feel appreciated, challenged and invested in, I can tell you from experience, they won’t take them.